In August 2014, the World Health Organization declared the largest documented outbreak of Ebola Virus Disease in West Africa. Contamination risks became a global topic of concern, especially as the lines between healthcare workers and patients became increasingly blurred, when healthcare workers too became infected due to inadequate protection. 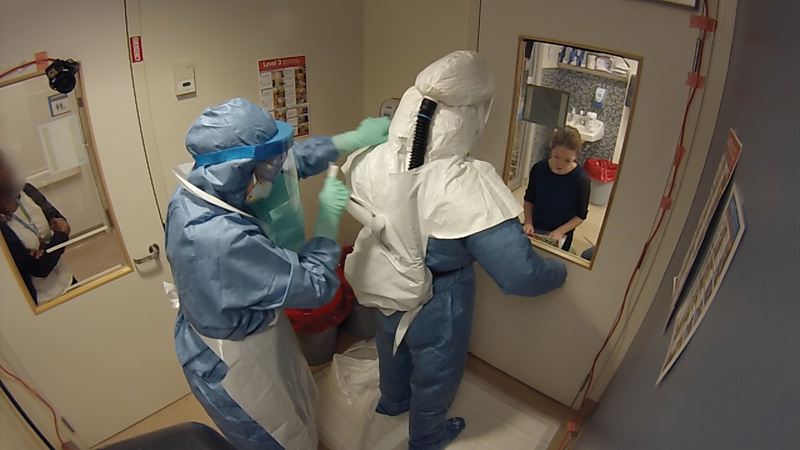 The personal protective equipment (PPE) donned by healthcare workers was critically important, as it acted as a safeguard for healthcare workers interacting with patients infected with the highly viral Ebola. As hospitals in Canada began to implement urgent protective measures, there was a stark realization of the lack of standardized selection and use of PPE. Healthcare Human Factors was immediately called upon to conduct rigorous evaluation of PPE currently on market, so that healthcare workers could be protected whilst providing critical care to infected patients. Partnering with the Ontario Ministry for Health and Long-term Care, we collaborated with four hospitals and conducted testing in actual settings where Ebola patient management plans would be implemented. This included areas such as intensive care units and emergency departments. To obtain a comprehensive understanding of how PPE interacts with workers and patients from start to finish, we asked participants to don the PPE, perform tasks in the patient room, and doff the PPE. Our human factors professionals observed, recorded, and documented all actions and dialogue. Working on this project re-opened my eyes to…the impact HF can have on healthcare safety, design and the system as a whole. Through our evaluations, we uncovered key issues which had a dramatic impact on doffing safety, and provided recommendations to improve the next generation design of PPE, as well as enhancements for environment and instructional material. Our findings were presented at the WHO Consultation on Innovative Personal Protective Equipment in Geneva in 2015, and published on Cambridge Journals Online in Infection Control & Hospital Epidemiology.